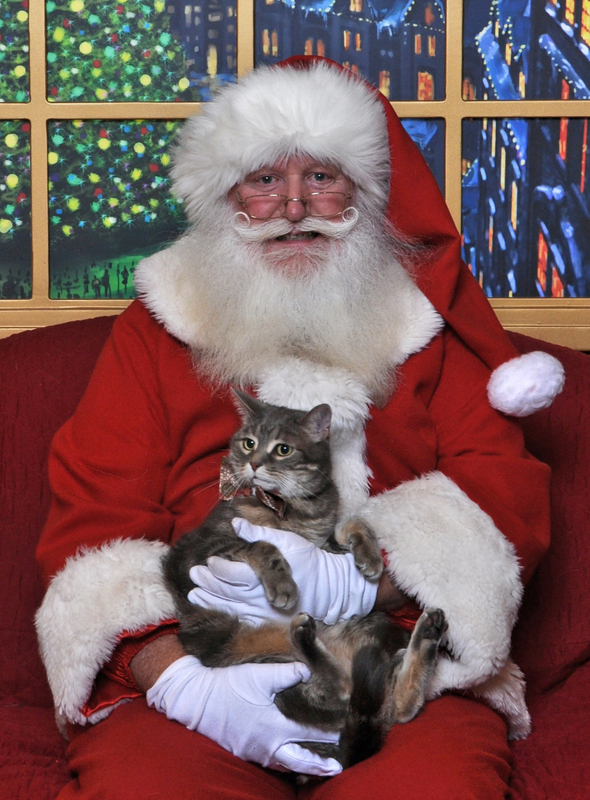 Is it me or does Santa look a tad tense while Kitty looks like he’s surveying his kingdom? Kitty took his annual trek to visit Santa. SANTA!!! And, I sewed him a Christmas themed bow-tie just for the occasion. 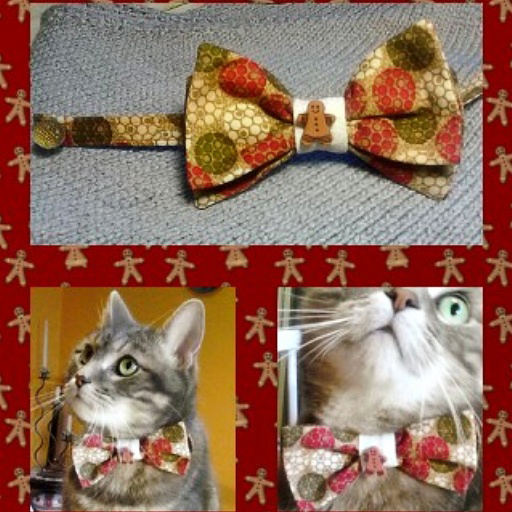 Now, I know what you are thinking, “I want a bow-tie for the holidays! 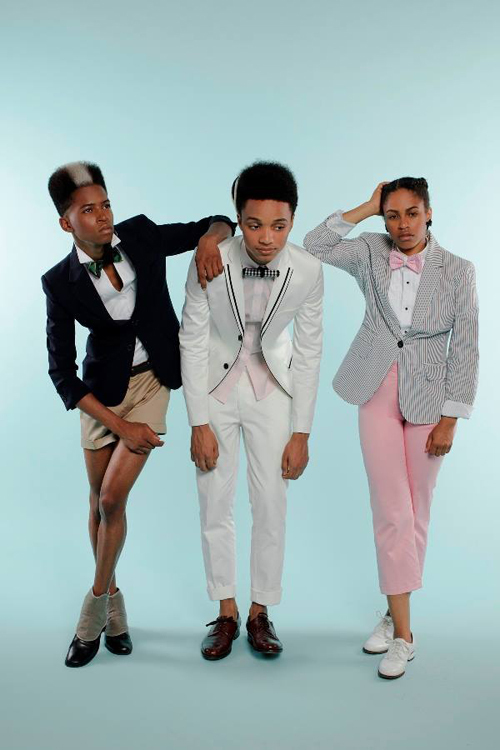 !” Bow-ties originated among Croatian mercenaries during the Prussian wars of the 17th century, who used fabric pieces to tie the tops of their uniforms closed, and they have come into and out of fashion since then. They have definitely gained momentum in the last decade, and are not just for distinguished Kitties either. Kids, women, hipsters, nerds and grampas alike are ALL sporting this formally formal attire. This one’s from Martha. Can Martha do EVERYTHING? It includes pattern, instructions and a handy how-to video. The next instructional gem is brought to you by Tie a Tie. An entire website dedicated to ties of all sorts! Yes, please. 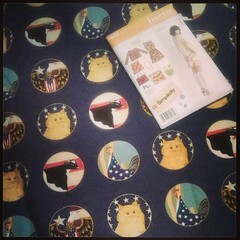 The last pattern comes from the purveyor of the most fabulous fabrics…Liberty! 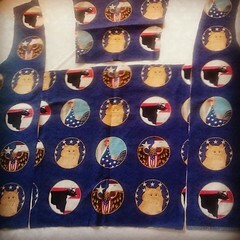 How perfect is this animal themed fabric for a bow-tie? Not a traditionalist and want a unique shape to your bow-tie? Ponoko has 7 different bow-tie templates for you to choose from. 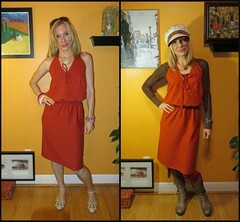 And, now that you’ve sewn it (the easy part), how do you tie it?? (the hard part) Well, if at some point during the tying process, you wish that you could just go to the party in your underwear, I’ve got you covered. 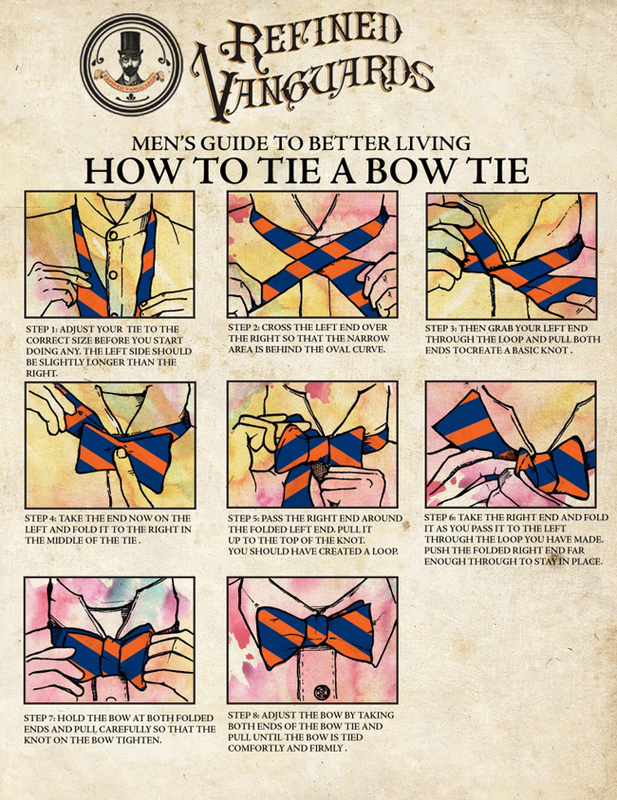 Here’s how to tie your masterpiece! Till Next Year! I hope everybody enjoys a peaceful and loving holiday season.